The idea for this post came to me the day after the Meghan/Prince Harry wedding. I love seeing the fashions worn at high profile events and was looking for photos of the evening party that Prince Charles threw for 250 of the bride and groom’s nearest and dearest. Guess what? Not one photo had leaked. That’s how the couple wanted it. 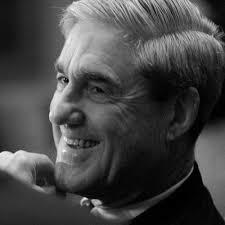 Granted a party doesn’t have the gravitas of Robert Mueller’s special counsel investigation yet they share being information airtight: There’s not been the tiniest drop of disclosure from Mueller’s team. I eventually read online about the festivities at Prince Charles’ party for his son and daughter-in-law, but saw no photos. So what’s with the White House and current administration? Some leaks are deliberate, I’ve heard, and rumors have it that others even come from the top, based on a history of such behavior when DT was a citizen. The queasier kind of information that nobody would want outsiders to hear is blabbed by someone–even more than one person perhaps. In addition to being a passport to a hasty firing if caught, I don’t get why someone so irritated that they are willing to spill the beans sticks around any organization. Pundits have conjectured that this is the only way to get the attention of the president. I hope that’s not true. 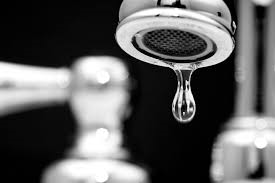 There’s a difference between a leaker and whistleblower, the latter being extraordinarily brave, willing to jeopardize a career to save others. If you so dislike where you work, and you agree that whistle blowing is instant career suicide, then get out, and keep quiet at least until you do. Have you had to stop leakers in an organization? How is it done? Are leakers held in high regard or does the press that takes advantage of the juicy information consider them to be rats? Regarding the White House soggy with leaks, why add to and be part of the rapid deterioration of the decorum of a once venerable office and symbol? This entry was posted on Thursday, May 24th, 2018 at 11:12 am	and is filed under Leaks, Politics, Secrets, Wedding, Whistleblowers	. You can follow any responses to this entry through the RSS 2.0 feed. You can leave a response, or trackback from your own site. 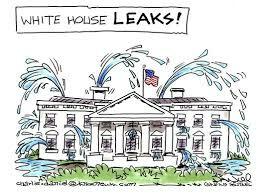 These are not leaks coming from the White House – they’re waterfalls. Such performances are due to this administrations desperate need to draw non-stop attention to itself. Leaks, such as what the grand Mrs. Muck a Muck and Countess Lah-de-dah are wearing to the ball are usually benign. Who cares? Much of the same may or may not apply to DC. Whistle blowing is weightier. What socialites wear are of minimal importance compared to pulling the rug from under ones employers or friends. While it’s nearly impossible to lie about the color of a fancy frock, it’s simple to spread a fact and/or rumor which holds serious, and often dangerous consequences. There is no winning argument regarding the role of whistle blowers which ranges from the creep who blew a confidence which nearly cost the country a President, to the debatable right of one which revealed government illegally snooping on its citizens. One can debate ad nauseam and emerge inundated by question marks. Before being tarred with the “intellectual snob” brush, I visited the Met Museum’s Versace exhibit. Memorable was the wedding dress created for Sting’s (first?) wife. There! Ever since I can remember I’ve been involved with leaks. I think most leakers leak because of a need to be loved, to be important, to make a difference. If you want to stop leaking, pick the right people and involve them in why what you and they are doing is important. Get them committed to your mission. Make them feel truly useful and if they are not or don’t buy in, get rid of them. Conversely, if you are pumping a leaker, keep flattering them, massage their egos. They will chirp. There is nothing new about secrets mining. And while nobody likes teachers’ pets, lackeys or tattletales, they do and have always served a positive purpose. This is especially true in corrupt times like ours, when we thank God for an aggressive press and their happy forraging! The leaker vs. whistle blower discussion can go on forever. The fates of each are sealed most of the time. I understand those trying to right a wrong. My way out has been to get out of the way and move along. Granted, nothing I observed and disagreed with had much impact. I don’t like people using my credentials without my permission, for example, using my name for material they’ve written. Sometimes the perps are never caught, and in fact, many land at the top of the heap. Who said life was fair? 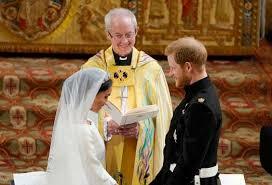 The reason I chose the royal wedding as an example of keeping cameras sealed is not because it in any way equaled the importance of keeping state secrets–apologies if I didn’t make it clear in my post–but because many of the guests were in the world of celebrity and celebrities love the limelight. If participants at such an event, especially because it isn’t world-shaking in importance, can keep a lid on things, one would think that many at the WH could do the same or get out. If there are few people to carry on the work at that place, maybe the head of it would get the message, no leaks or blowing of whistles necessary. Clearly the leaks inspired by the man at the top are to stir the pot and distract from any negative reporting or news in the land. His game–and he’s winning at it–is for his followers to think that any news from sources such as The Washington Post, The New York Times, and network news is all fake and the only true news comes from Fox. We can only guess that lower level leaks, especially by those left over from the previous administration, are done to let the world know what’s going on that may not be entirely kosher. Your solution to discouraging leaks is sound. Loyal employees tend to forgive missteps and what organization doesn’t make some? Speaking of mistakes, the press that is birddogging corruption today is the same press that gave one of the candidates credibility when he deserved none. Without their coverage 24/7 he would not have been on the ballot much less in the WH. While I am grateful to them now for their investigative work, I can’t forget their role in getting us where we are. I don’t think that it was done on purpose, to give themselves a reason for existing at a time the news business was shrinking in importance, though only time will tell. I felt that many did it to save their jobs because they were ordered to from the business side knowing shenanigans sell. It points to communications staff as potential leakers. I have zero proof and have not read a thing to corroborate this theory but I think that some leaks may come from other staffers–not necessarily those in the communications department.